When surrounded by sprawling suburbia with its homogeneous houses, it takes courage and adventurousness to stand out from the crowd. 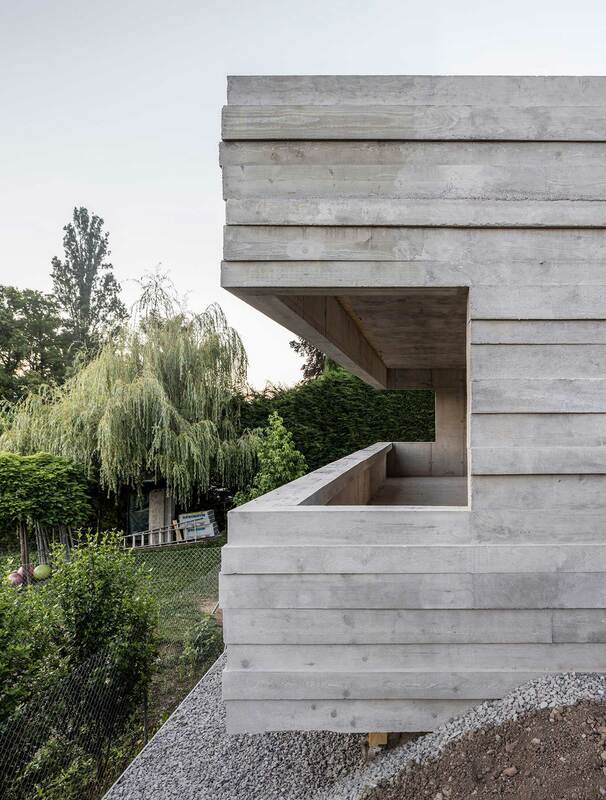 This intriguing house that overlooks Lake Geneva, Switzerland by Leopold Banchini and Daniel Zamarbide dares to be different. 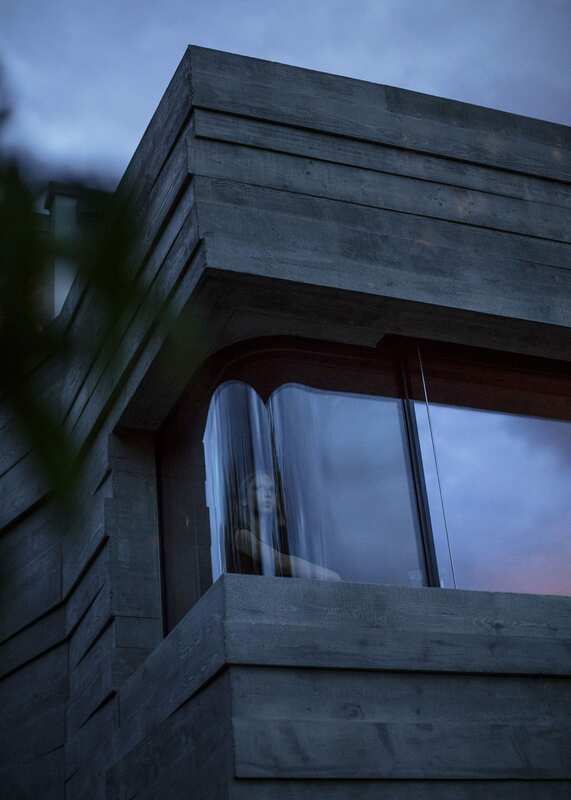 In contrast with its timber-clad or rendered neighbours, this house emerges as a Brutalist bastion. 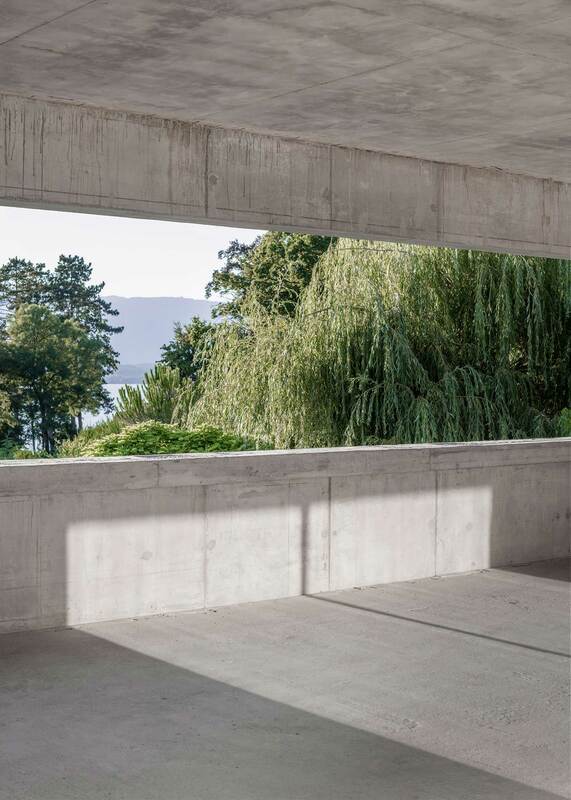 Off form concrete with its austere and uneven quality references the typical texture of Swiss cabins appears grounded within the hillside. 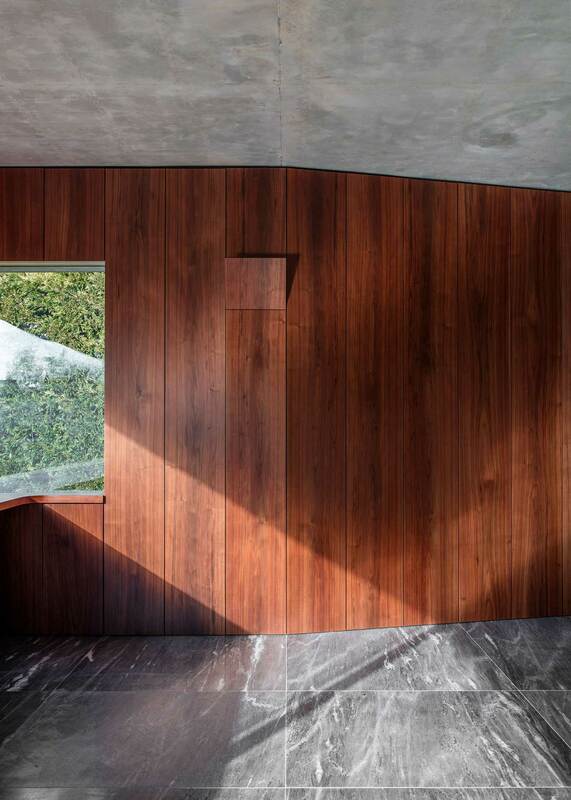 According to the architects, “through the very expressive minerality of a concrete exterior, the extension arrogantly jumps out of the existing house and literary shows the wood veins of the concrete formwork.” Internally, robust materials such as black marble floors and concrete ceilings are married together with the help of dark walnut walls. 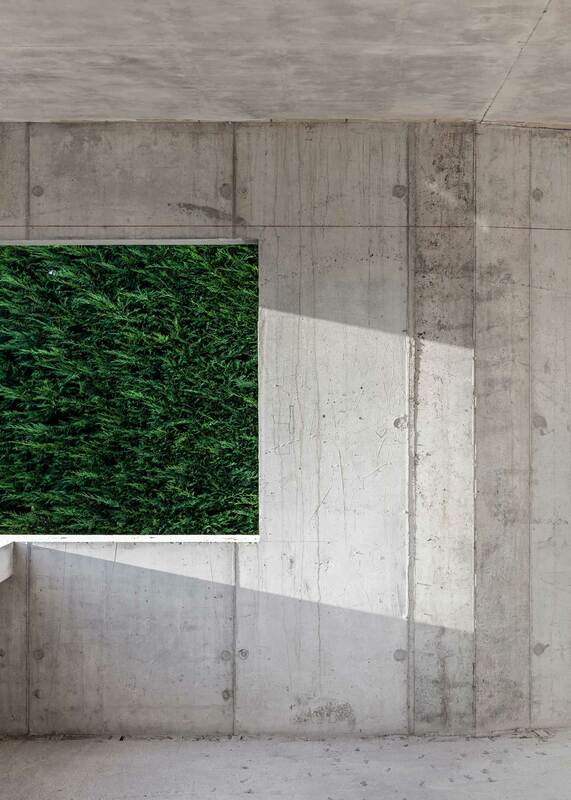 Dubbed ‘Panorama Suburbia’, the centrepiece of the house is its ability to offer astonishing panoramic views. 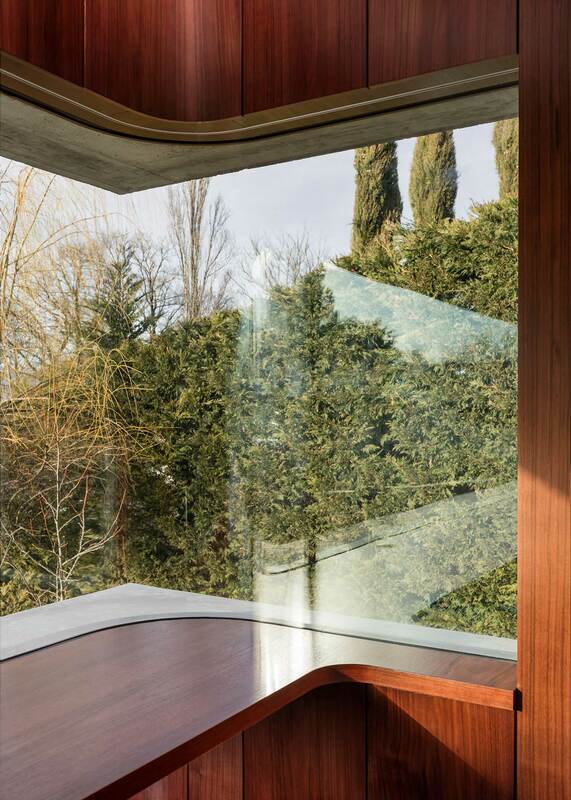 On the upper floor, a 10-metre wide span traverses the living space with a curved window softening the corners. 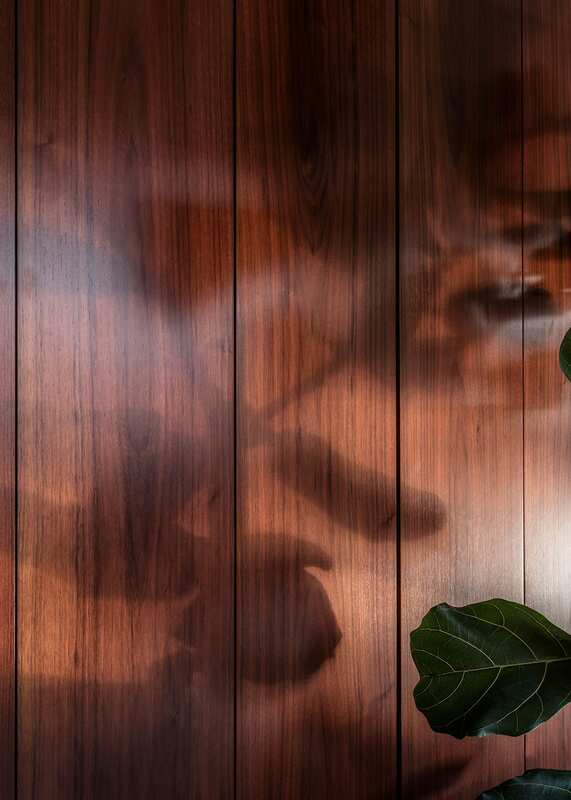 Here, a wide walnut timber reveal allows inhabitants to sit along the window’s edge or pull up a chair to admire the view. But we’re not done yet because clearly, one panoramic view isn’t enough! 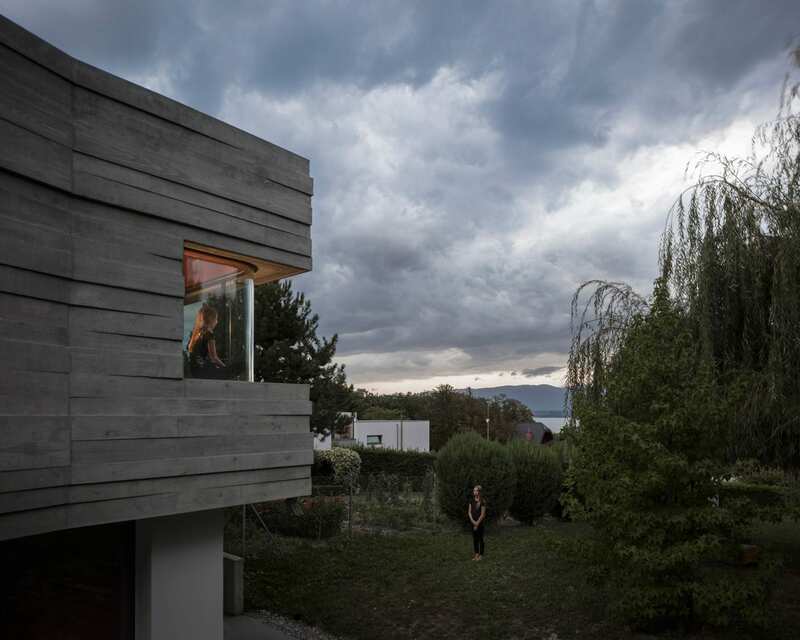 The post Panorama Suburbia House in Switzerland by Leopold Banchini & Daniel Zamarbide. appeared first on Yellowtrace.